Looks like an ellipse. Is it? 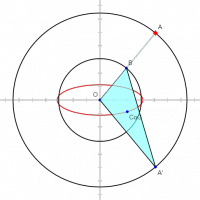 If so, what are the foci in terms of the circle radii.